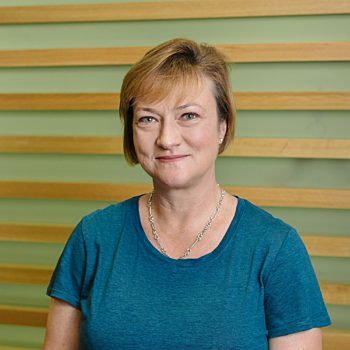 Clinical Director Claire Small focuses on the need to rest and relax our mind, allowing us to focus on how our body is feeling and improve our well-being. Life is not a spectator sport, so get your mind in the game! Did you either give or receive an adult colouring book as a present last Christmas? They were everywhere at that time and still continue to top the best seller’s lists on Amazon. So – what is the huge appeal? The theory is that the act of colouring focuses our minds on a simple task that requires some level of concentration to stay within the lines but without a lot of thought and analysis. This allows our minds to rest and recharge, reduces our stress levels and the unwanted brain activity that stops our brains focusing on key aspects of our wellbeing. It allows us to reconnect our brains and our bodies at a time when our brains are normally focused on just getting through the day in London. For those of us working in healthcare, the strong connections between our minds and our overall health and wellbeing is (pardon the pun) a ​“no brainer”! Unfortunately, back in the 17th century, French philosopher Rene Descartes created the concept of Dualism in which the mind and the body were seen as two separate entities with limited ability to influence each other. For centuries, clinicians and scientists from all areas of medicine treated pain and disease affecting the body with complete disregard for the individual’s mental state and also failed to understand the ability for our brains to influence our bodily functions, including feelings of pain. The idea that the brain can cause or influence physical things happening in our bodies may seem rather strange, but you experience this every day of your life – you cry when something sad happens, you blush when you are embarrassed, your fingers tingle when you stand on the top of a tall building and you may be physically sick when you hear or see something awful or upsetting. These are all physical responses to information being received by your brain. Another example of the brain/​body connection I commonly discuss with patients is that of Phantom Limb Pain, where people who have had a limb amputated continue to ​“feel” the physical presence of the body part, right down to sensations of pain and itchiness. The part of the brain responsible for this area of the body is still functioning and continues to send out information. The strange sensations of pain, itchiness and swelling that people feel in their phantom limbs are due to the disconnect between the information that the brain is receiving from the body and how the brain is used to functioning. Clinicians treating this very painful and disabling condition are now using mirrors to focus on changing the way the brain thinks about this amputated region. I liken the brain / body disconnect in Phantom Limb Pain to the very weird feeling you get when you walk up an escalator. The reason for the strange sensation is the disconnect between what your body is feeling and what your brain is expecting.